A robot that smooths the wrinkles out of clothing. Future Russians use natural plant fibers to recreate what their "прабабушки" (great-grandmothers) wore. But, there was a problem. Unlike future clothing, the vintage clothing wrinkled and somehow needed to be smoothed. How could this be accomplished? Better call "Бытовых Автоматов" - Household Automata! 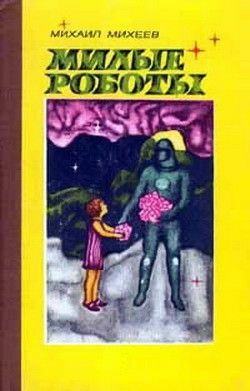 From Iron (утюг), by Mikhail Mikheev. This story comes from a collection called "Cute Robots", good luck getting a copy of that, let alone a translation!